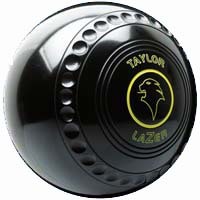 There are 6 main models of Taylor lawn bowls for flat green bowling: the Lazer, the Vector VS, the Ace, the International, the Legacy, and the Lignoid. 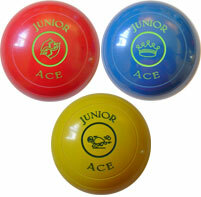 In addition they make a junior bowl, the Junior Ace, and The England Bowl, a special edition bowl. All of these are available from Bowls World online shop in a variety of sizes and colours, with free 48 hour postage to destinations in England, Wales and the Scottish Lowlands. 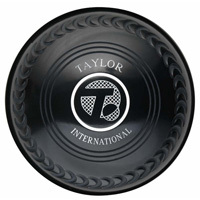 Since Taylor Bowls used to be called Thomas Taylor, Taylor lawn bowls are sometimes referred to as Thomas Taylor bowls. 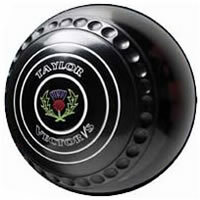 The Taylor Bowls company was originally formed in Scotland in the 1800’s by Thomas Taylor who invented a machine for making bowls to a consistent and accurate shape. Previously, all bowls had been made by hand and so no two could be guaranteed to be alike. In the same year as the machine was patented, Thomas Taylor Bowls created the world’s first testing table, which enabled them to test and demonstrate the accuracy of the new machine. Thomas Taylor Bowls continued to be a force for innovation in the bowls making industry for the next 200 years. Now, in the form of Taylor Bowls, they continue to be pioneers, one of their most recent innovations being the development of colour bowls. 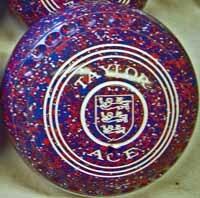 Consequently, Taylor lawn bowls have a well deserved reputation for accuracy and consistency. For instance, the governing body allows a maximum weight difference between different bowls in a set of 15 grams. Taylors work to a standard producing no more than 3 grams difference. Taylors is still very much a Scottish family business, with a factory and visitor centre in Glasgow, although it was recently taken over by the Heron family in 1992. Taylors also acquired the Greenz brand in 2006, enabling them to add high quality shoes to their product portfolio, many of which we also sell at Bowls World. Here’s a quick guide to the playing characteristics of each of the 6 main Taylor lawn bowls, to help you decide which might be best for you. They are described below in order of bias, starting with the narrowest. 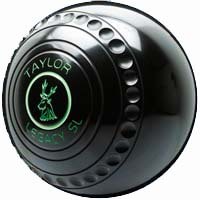 A new addition to the Taylor Bowls range, this bowl has the narrowest draw of the range. It has a slim shape and is supplied with Progrip dimples as standard, making it comfortable to hold. It is ideally suited to fast paced surfaces, and is therefore most suitable for indoor bowls and the more experienced player. Available in sizes 00 to 5 Heavy weight and 0 to 5 Medium weight. Black only. The Vector VS is the best selling bowl for indoor bowls in the UK, and is the best selling bowl amongst our Australian customers. With a narrow draw only slightly wider than the Lazer, it is perfect for fast surfaces and indoor greens, having a gentle draw to the jack with no hook at the end, making it ideal for front end bowlers. Available in sizes 00 to 5, Medium, Heavy, and Extra heavy weight (no Extra heavy in size 5 and no size 00 Medium). Dimple or plain grip. Available in a wide range of colours: Black, Dk.Blue/Magenta SApeckle, Light Blue, Blue Speckle, Dark Green/Green Speckle, Granite, Red, Yellow, Maroon/Red Speckle. Red/White/Blue Speckle, and Purple/Pink Speckle, Lime green Speckle. The Ace is a mid-bias bowl with a slightly wider drawing arc than the Vector with no hook at the finish. Recommended for all indoor and outdoor surfaces, its slightly slower pace makes it suitable for less experienced players as well as experienced players, making it one of the most popular bowls on the market. Available in sizes 0 to 5 Medium, Heavy, and Extra Heavy weights (no size 5 extra heavy, and no size 0 Medium made). Plain or dimple grip. Available in a wide range of colours: Black, Brown, Dark Blue, Light Blue, Blue Speckle, Dark Green/Green Speckle, Granite, Red, Yellow, Maroon/Red Speckle. Red/White/Blue Speckle, and Purple/Pink Speckle. The new International in a mid-bias bowl with playing characteristics similar to the Ace, but with a stronger finish. The International is recommended for outdoor surfaces and slower paced indoor surfaces. It has a new ‘Crescent’ grip. Available in sizes 00 to 5, Medium and Heavy weight (no size 00 or 5 in Extra heavy, and no size 00 Medium). The Legacy SL is wider drawing bowl more suited to the heavier grass greens. It is a slimmer shaped bowl, and has a dimple grip all around the bowl, making it suitable for players with a smaller hand. Available in sizes 00 to 5 Medium and Heavy (no size 00 in Medium weight). Black only. 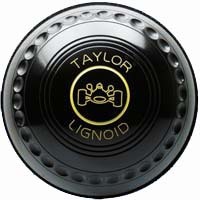 The Lignoid has the widest draw of the Taylor range and is recommended for outdoor grass surfaces. It has a dimple grip. Available in sizes 00 to 5 Heavy weight and 0 to 5 Medium weight, but no size 00 medium. Black only. The England Bowl is a special edition bowl made in a red, white and blue speckle and bearing a choice of England emblems: Three Lions, British Bulldog, St Georges Cross Flag or the Bowls England Red Rose. It is available in Vector, Ace or International models, with or without dimple grip. Sizes 00 to 5, Heavyweight only. The Taylor Junior Ace has been specially designed for the younger player. Made significantly smaller than a regular bowl, it is just 3 7/8 inches in diameter, making it comfortable to hold by smaller hands. 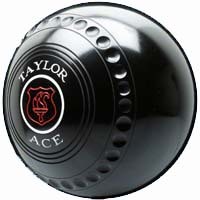 It has similar performance characteristics to the Taylor Ace model, making it a versatile choice for a young beginner and helping to develop skills that will transfer over to a larger bowl in due course. Suitable for ages 8 to 11. Available in Red, Blue or Yellow.